Here is another nice place for the holiday itinerary! The Château du Cambon in the Auvergne, beautiful in itself, is venue for18th-century themed concerts and events, amd home to an obsessively accumulated collection of works of art and memorabilia relating to Marie-Antoinette. The Château, constructed in 1580, started off life as a typical Auvergnat medieval fortified house with a round tower, a square tower, corps de logis and gated enclosure. However, in 1753 it received a radical make-over and was completely transformed by the marquis Jean-Raymond de Calonne into "une résidence de plaisance" The main building contains an enfilade of rooms on each floor, ending on the ground floor in the library, which boasts a complete works of Rousseau. To the rear is the dining room set out in Louis XV style. Rooms on the second floor are grander in scale: there is a galerie des blasons with doors through to a chapel and seven splendid master-bedrooms, decked out with canopied beds and Aubusson tapestries. 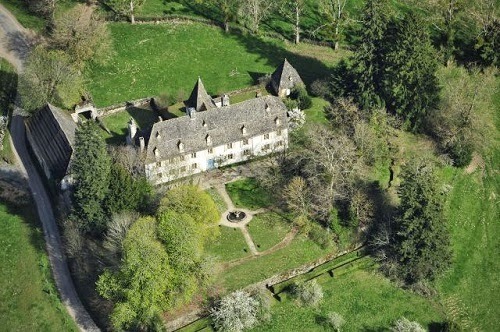 The present owner is René Monboisse: the Château had been in the family of his late wife, Françoise de Surrel de Montbel, a descendant of Lafayette, since 1802. Visitors are often entertained by M. Monboisse personally on the piano in his salon. 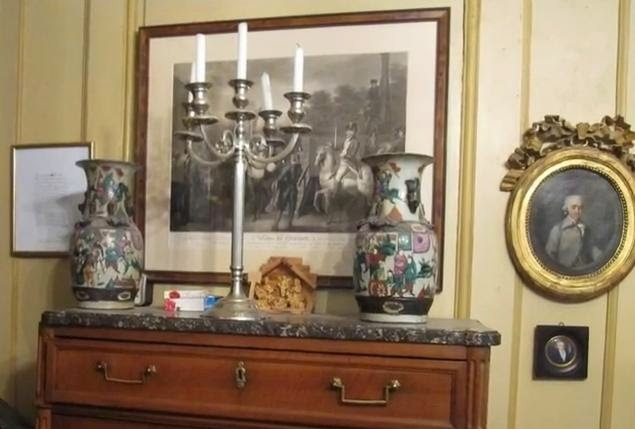 Unfortunately there is no online guidebook or listing of paintings and furniture. The website for the Château shows a tapestry depicting Marie-Antoinette (above) and the portrait below (which also features in the video). As previously noted M. Monboisse is reported to have acquired the fine Kucharski portrait of Marie-Antoinette from the collection of Alain Bancel sold at auction in 2003. (Though, if so, it does not appear in the publicity shots.) 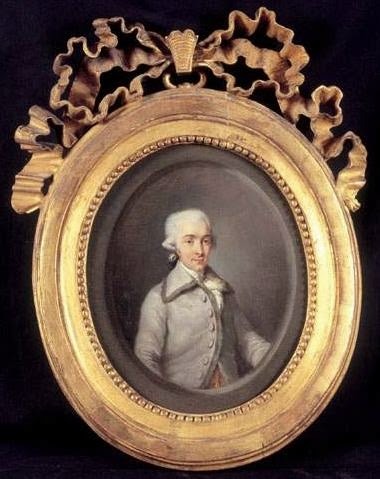 Another highlight is a portrait of Axel von Fersen hanging in a petit salon. I reckon it is the picture below, which was sold at auction in Paris in July 2007. PIASA catalogue entry for the Fersen painting. Death of the princesse de Lamballe ..cont. Is this the face of Marie-Antoinette??? ?